Confirmation, also known as Chrismation, is one of the three sacraments of initiation along with Baptism and First Eucharist. The sacrament of Confirmation explained. Click here. Engaging in the Community. Apprenticeship in Ministry. Your child will be joining this parish community and the larger world-wide Catholic community once they are confirmed into the Catholic Church. As such, it is important to find a place to serve and become involved in parish and community life. As part of their preparation, your child will be asked to complete (6) sessions of community/parish involvement. Examples within the parish include: Saint Charles Catholic Youth, Altar Serving, Choir, Ushering, Greeting, Doughnut Ministry, Multimedia Ministry, Children’s Liturgy. They can also participate outside of the parish in places such as senior’s homes, schools, etc. The requirement is that this is something new for your child, and not something they are already participating in. Some of these ministries may require you to serve with them as an adult. Note* All question must be answered in order to register. No blanks allowed. 2018 Confirmation is COMPLETE. 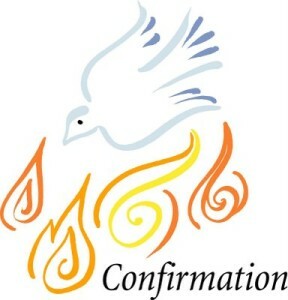 Congratulations to all those who celebrated their Confirmation this year!! Attendance at ALL classes is mandatory for the youth and parent/guardian and/or sponsor. The youth going through Confirmation MUST attend the Confirmation retreat. Parents/sponsors do not need to attend the retreat with the youth, but are welcome to attend Mass at 430PM. Sponsor and youth MUST attend the Confirmation rehearsal.